Danish blue cheese, artichoke, butter and your favorite carb. accompaniment . This recipe is brought to you by my Danish side, Thanks MOM! Sometimes the best recipes have the simplest ingredients. Melt butter, add crumbled blue cheese and mix well. Heat gently to melt the cheese. 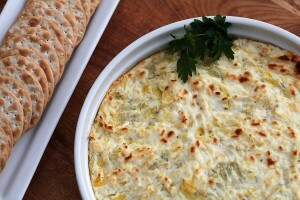 Cut artichoke hearts in quarters if necessary add to cheese mixture and heat through. *Keep hot in a chafing dish. Serve with warm sliced bread.